Friday's Lunar Eclipse Expected To Be Longest This Century The moon will turn orange or even red. And the eclipse — expected to be the longest this century — will be best to see in eastern and southern Africa, the Middle East, eastern Europe and south Asia. 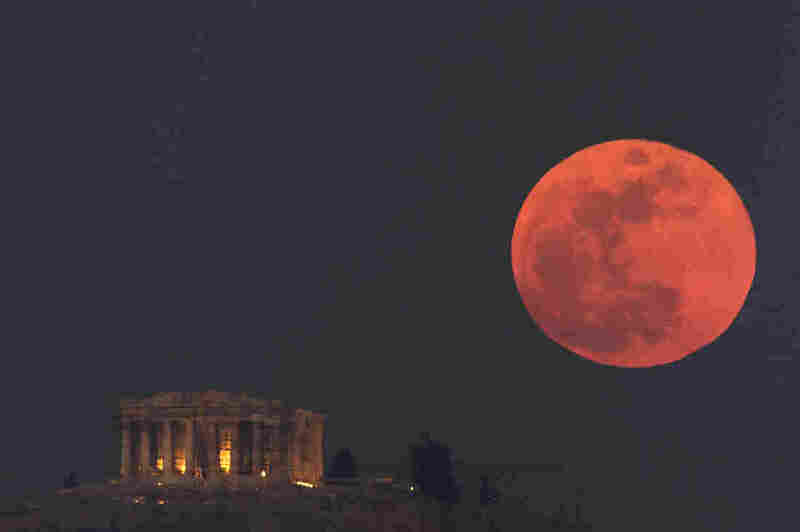 The moon is expected to appear red or orange, as it did during the lunar eclipse in January. The most noteworthy thing about this particular eclipse is its extraordinary length – in fact, NASA expects it to be the longest lunar eclipse this century. The total lunar eclipse is projected to last for an hour and 42 minutes, with the entire event lasting over 6 hours. To figure out precisely when the eclipse will hit your area, you can calculate it at Timeanddate.com. Unlike a solar eclipse, a lunar eclipse is easy and safe to enjoy with a naked eye, says Francisco Diego, an astronomer from University College London. But he recommends using a pair of binoculars, if you have them, to really observe all the shadow and color changes happening during the event. "It's quite the spectacular thing to see," Diego says. During the eclipse, the Earth, sun and moon will be in a single line, with the Earth in between the sun and the moon. That means "the moon will come inside the shadow of the Earth and will stop receiving the light from the sun," Diego adds. 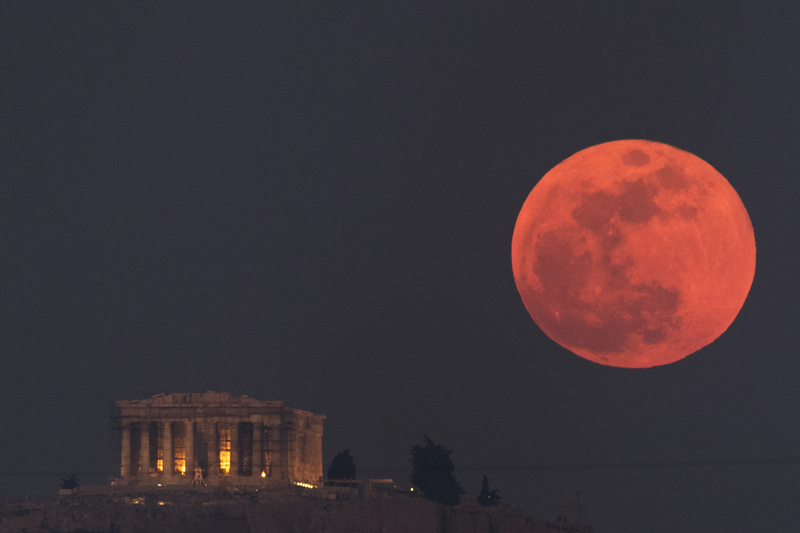 At that time, it'll look like the moon has changed color in dramatic fashion, which is why a lunar eclipse is sometimes known as a "blood moon." It's not surprising that some ancient peoples regarded these events as terrifying omens. The eclipse will briefly cause the moon to appear in colors ranging "from pale orange to deep red," as Diego explains. That's because the sun's light will be filtering through Earth's atmosphere before it hits the moon. He says "the effect is similar to a sunset." And the shade and intensity of that color, he says, "has to do very little with the moon, but it has to do with our own atmosphere." And our atmosphere "could be very clean or it could be very dirty." Events like fires and volcanos can change the air quality and impact the atmospheric conditions here, he says. "If the atmosphere is very clean, then the light will be very bright and the color on the moon will appear bright and orange or even yellow," he says. And if it's dirty, he says it might appear darker than usual. "We can use the moon as a screen where the quality of atmosphere ... is projected on that screen and depending on that we can make a little diagnostic of how the atmosphere of the Earth is behaving at that point," he says. If you're in a place where you won't be able to see the eclipse in person, there are still ways to watch it. The organization Slooh is going to be live streaming it here. The next lunar eclipse is going to happen on Jan. 21, 2019. In that one, the best viewing is going to be from North and South America.